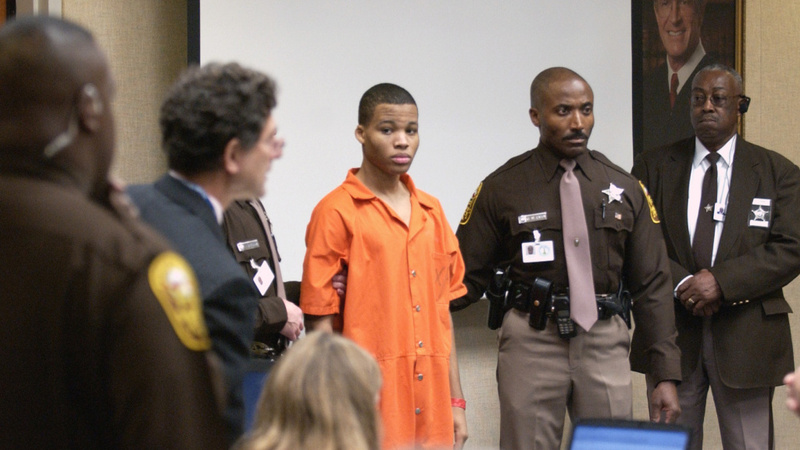 Lee Boyd Malvo (center) enters a courtroom in Virginia Beach, Va., in 2003. Some 15 years later, at the age of 33, Malvo has been granted another sentencing hearing. Malvo is serving time in prison for his role in the mysterious killings that left 10 people dead in the District of Columbia's surrounding suburbs in 2002. Malvo, who was 17 years old at the time of the attacks, was tried as a juvenile and given life imprisonment 10 times over — with four life sentences in Virginia and six in Maryland. 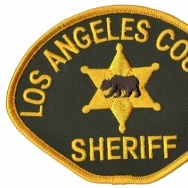 Meanwhile, his much older partner, John Allen Muhammad, then 41, was ultimately executed in 2009. Since then, however, the Supreme Court issued several decisions complicating Malvo's case — first putting an end to automatic life sentences without parole for juveniles, then ruling that the decision should be retroactive. Last year, a federal judge in Virginia decided those rulings apply to Malvo, too, tossing his four life-without-parole sentences there while preserving his murder convictions. Now, by a 3-0 decision, appeals judges have affirmed that lower court ruling. "To be clear, the crimes committed by Malvo and John Muhammad were the most heinous, random acts of premeditated violence conceivable, destroying lives and families and terrorizing the entire Washington, D.C. metropolitan area for over six weeks, instilling mortal fear daily in the citizens of that community," Judge Paul Niemeyer wrote. "But Malvo was 17 years old when he committed the murders," he added, "and he now has the retroactive benefit of new constitutional rules that treat juveniles differently for sentencing." The decision Thursday does not apply to Malvo's six life sentence terms in Maryland, which a Montgomery County judge allowed to stand last August. That judge found that his life terms in the state had not been mandatory, and thus not affected by the Supreme Court rulings. Meanwhile, in Virginia, Attorney General Mark Herring is weighing the available avenues. His office had unsuccessfully pursued the appeal. 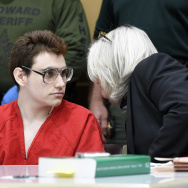 "We are going to review the decision closely and decide how best to proceed in a way that ensures this convicted mass murderer faces justice for his heinous crimes," Herring's press secretary, Charlotte Gomer, tells NPR. She says all options are on the table, including potentially requesting a hearing with the Supreme Court. "As for Malvo," Niemeyer concluded in Thursday's opinion, "who knows but God how he will bear the future."